I decided to share the photographs I took last year in Japan… these photos cannot adequately convey the scientific and human impact of the worst industrial cataclysm in the history of the world… [R]adioactive isotopes will be extreme hazards for 250,000 years, of course no one knows when it will end. Yes, so the bottom of the reactor under the reactor there is a grating and then under the grating there’s the concrete floor, and what this robot discovered… the grating was deformed and broken. 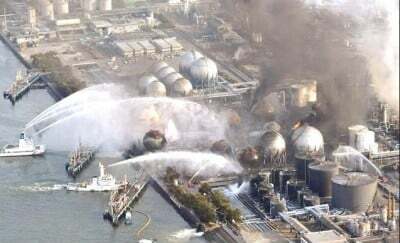 So, now it appears that some of the molten fuel may have gone through the grating… [H]igh radiation turns into heat, so the whole environment around the molten fuel is thermally very hot, and so whether it is going through the concrete, whether it is under the concrete, I don’t know that we have a good grip on that issue… Fukushima is possibly the longest running, continuous industrial disaster in history. It has not stopped because the risks are still there.